This method book is based primarily on my own personal experiences and career as a jazz trombonist, and therefore has very little to do with dogma or tenets…In my opinion, if jazz improvisation is the heart and soul of jazz music, then a clear and basic understanding of jazz syntax (or the language of jazz) is the necessary heart and soul of jazz improvisation. With this book I am committed to helping you get a basic and clear understanding of jazz syntax. 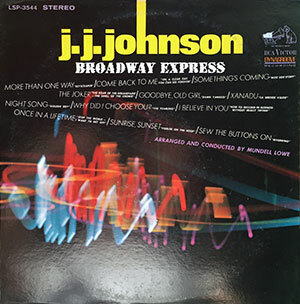 Naturally, it won’t be a surprise to see Johnson drawing on the blues as a musical form. He also sometimes uses the be-bopper’s idea of “contrafact,” or writing a new melody over an existing chord progression. You’ll have to guess — or hear — which tunes are used as underpinning, though. No chord progressions are given. “How do you feel? Don’t overdue it. When your body is trying to tell you something, LISTEN !!! AND OBEY !!! To sum up quickly, this is a fun, worthwhile, and thoroughly modern take on the traditional etude book. It’s available for all instruments, and is highly recommended.